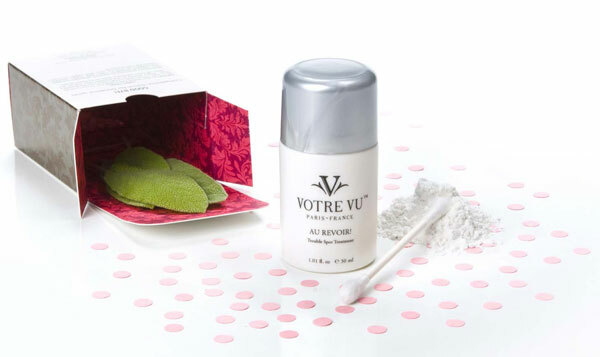 All Posts Tagged With: "Acne & Blemish Control"
The VOTRE VU AU REVOIR Trouble Spot Treatment is perfect for that occasional “OMG I got a pimple” moments. It dries your pimple, cools it, & soothes! Bye bye annoying spots & acne! Remember to not shake the bottle. I use a Q Tip to apply directly on to the blemish or trouble spots. Yes, pimples happen to the best of us! 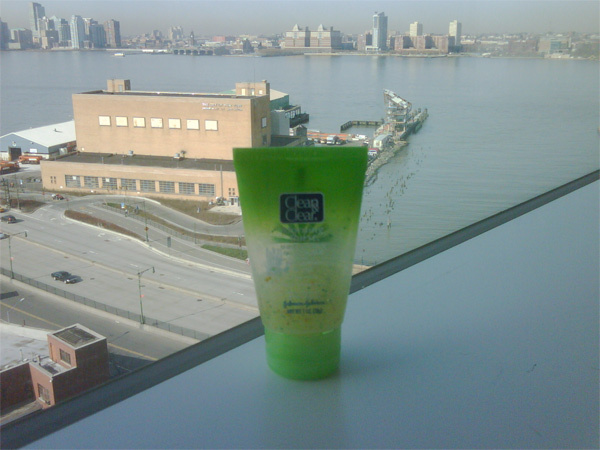 The Clean & Clear Shine Control Facial Scrub with Lemongrass & Fruit Extracts saved my after flight tired face on my recent trip to New York city. GOOD. This face scrub feels incredibly invigorating in the morning, or really anytime. The scent is very relaxing. It is gentle enough to use every day (works for me!). Although it’s a scrub the exfoliating beads are not coarse, or as I call it ‘aggressive’. It’s a cross between a face scrub and a face wash. And you can get it at your local drug store without spending an arm and a leg. Any women have to deal with unsightly acne flare-ups throughout the year. While clogged pores may be one of the most common symptoms of this skincare concern, redness and irritation can be just as much a source of distress. Unfortunately, many over-the-counter treatments can be too harsh for your inflamed, acne-prone skin. To the rescue is NEW St. Ives Naturally Clear Green Tea, a line of skin care solutions that gently fights blemishes and reduces redness, while also containing 100% natural green tea which helps to soothe and calm skin. Formulated with Salicylic Acid and 100% natural green tea, this new two-step regimen offers an effective, yet gentle, acne solution. St. Ives Naturally Clear Green Tea Cleanser ($5.69 for 6.75 fl oz. pump) is a refreshing cleanser that is made with 2% Salicylic Acid and 100% natural green tea, which help to clear blemishes and calm redness associated with acne. 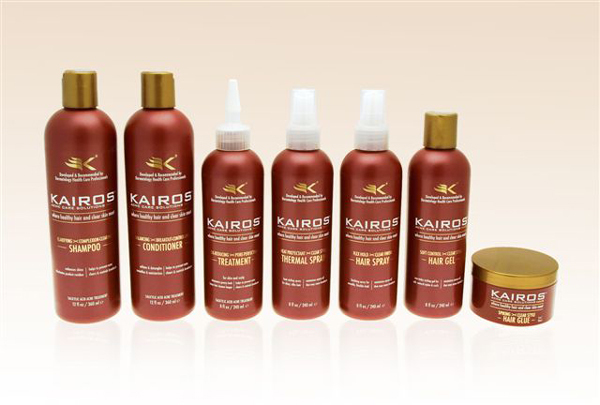 Kairos Acne Care, a hair care line that can help treat acne? Read more. A pioneering way to help treat and prevent acne. Throughout their twenty years of nursing, Catherine Parker and Doreen Campbell have treated countless patients who thought they had tried everything to combat their acne. From cleansing constantly to switching skincare products, many acne sufferers had given up hope until Catherine and Doreen asked a crucial question: What kind of hair products do you use? The vast majority of patients had no idea that the formulas they used on their hair could have a big impact on their skin. Drawing on years of experience working in an acne clinic as a Nurse Practitioner and Registered Nurse respectively, Catherine and Doreen developed the world’s first hair care line designed to respond to the needs of acne sufferers: Kairos Acne Care. 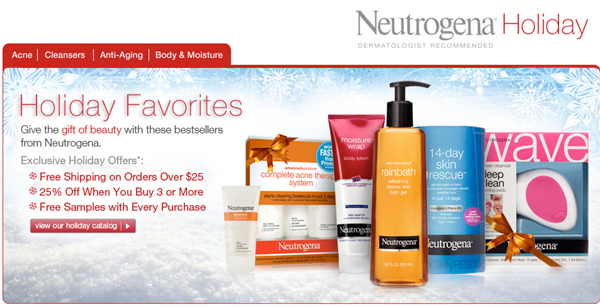 Introducing Neutrogena’s seasonal online shopping destination – Neutrogena Holiday. I love a good deep face cleanser and a face scrub in the mornings. Not sure if it’s the right thing to exfoliate everyday, I’m just an amateur you know, but I can’t stop. 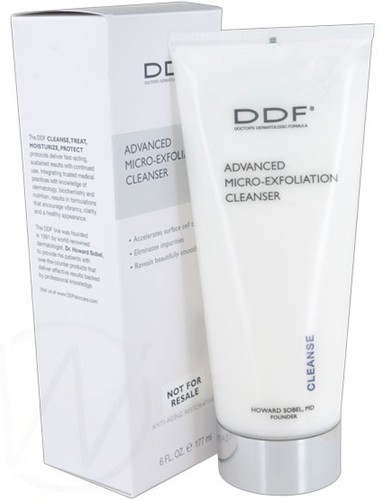 My favorite to use in the shower these days is: DDF Advanced Micro-Exfoliation Cleanser, $46. This DDF exfoliating cleanser is not greasy and leaves my skin refreshed and smooth. Perfect! DDF Advanced Micro-Exfoliation Cleanser the description on sephora.com: A facial wash that stimulates cell turnover to impart a youthful glow. DDF Advanced Micro-Exfoliation Cleanser contains a breakthrough Turmeric Complex with exfoliating rice bran that is designed to accelerate surface-cell turnover and eliminate impurities. The complexion takes on a fresh, healthy, radiant quality as this rejuvenating must-have works its wonders.